On this episode of the CKM Podcast, we hear a sermon from Clayton recorded live at Lifepoint Church in Fredericksburg, Virginia on how God can use us to share his gospel and change lives this holiday season. It's exactly what you need to hear this time of year! We're a few months out from Crossroads Summer Camp 2017, but we are still in awe of God's faithfulness and the incredible things He did this summer! Because we're nostalgic, we love listening back to sermons from the summer, and now you can too! This is the Monday night sermon from Clayton that each camper this summer at Crossroads heard. We saw hundreds of students respond to the gospel after this message, and we pray that God will use it to minister to you too! "He so big and he so powerful, and he is so magnificent, that literally when you receive Christ as your savior, you can’t contain him. You can't hold him in. Jesus wants you to live in the overflow of his love." Hear a great quote while listening? Tweet it to us by tagging @ck_ministries. Clayton continues his conversation with author and pastor of The Summit Church in North Carolina, J.D. Greear in this episode of the podcast. Greear gives advice for pastors starting their ministry, talks about his preaching style, and what he does for fun. If you haven't heard part one, make sure to download that episode as well! In part two, Clayton continues his conversation with Brad Lomenick, author of H3 Leadership and The Catalyst Leader, on the power of hustling, building platforms, the new book he's working on, and transitioning as a leader. Missed part one? Listen here. Brad Lomenick is an author, speaker, strategic advisor, former director of CATALYST Conferences, and all-around leadership guru. His books include The Catalyst Leader and H3 Leadership. On this episode of the CKM Podcast, Clayton sits down with Brad to discuss the difference between calling and assignment, lessons he's learned throughout his many leadership positions, and how to effectively lead leaders. Be sure to check back for Part Two next week! Crossroads Summer Camp 2017 was absolutely incredible. 1,308 students responded to the gospel (530 for the FIRST TIME! ), 385 students responded to a call to ministry, over $42,000 was collected for missions, and 4,484 total campers and chaperones experienced an incredible week that only God could have orchestrated. 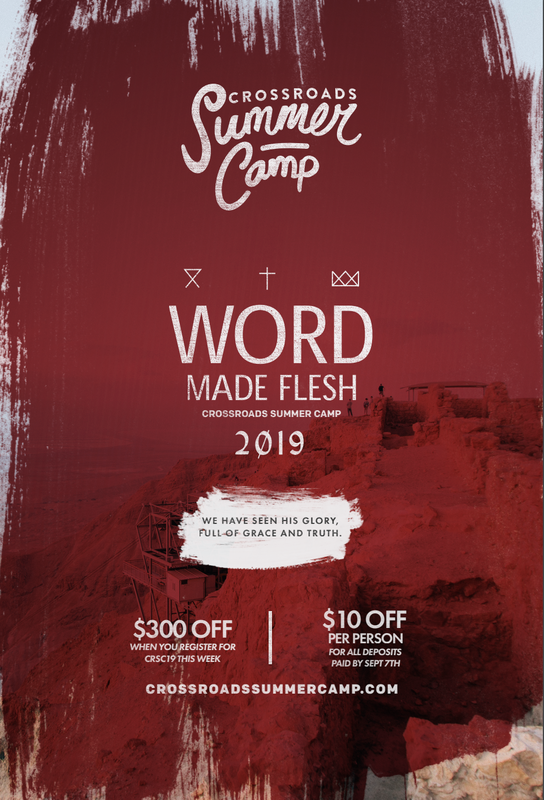 We are still excited and celebrating everything God did this summer, and what better way to reminisce about camp than listening to the sermons?! On this episode of the CKM Podcast, listen to Clayton's sermon "Tell Your Story", recorded live from CRSC. Listen and learn how our stories are the best tool God gives us to share the gospel! Sharie King's teaching from Crossroads Summer Camp 2017 is raw, honest, and vulnerable. Learn how to build your "house" out of God's love and grace instead of the world's lies and expectations on this episode. And if you haven't already, check out Sharie's new book I Love You More at SharieKing.com.